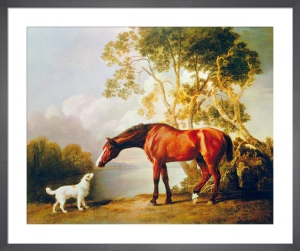 George Stubbs was born in Liverpool in 1724 and is one of the most celebrated equine artists of all time. 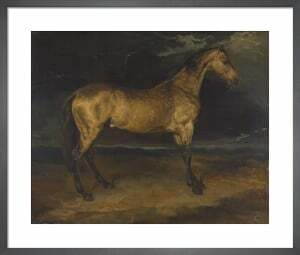 With his remarkable ability to portray the anatomy, muscle structure, and movement of the horse, his paintings would change the landscape of equestrian art for ever. 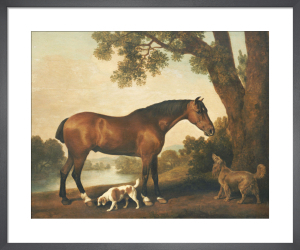 From this majestic collection we especially love the iconic Whistlejacket, which looks wonderful as a large stretched canvas for maximum impact. As I imagined, came well mounted with a quality frame. Perfect. Lovely picture, beautifully framed. It came within a few days of ordering. Beautiful print, very well presented as always. In my opinion if you deal with this company you will not be disappointed . The print is so very handsome! I would be hard pressed to find anything negative about this purchase. The art arrived on or before schedule and packaged perfectly! Great great value for money spent. 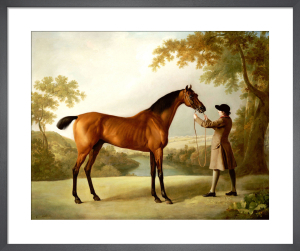 I will be doing more Whistlejacket shopping for my family for Christmas! Thank you. I am very pleased with my purchase and the excellent way the transaction was handled. The print is way to dark and not representative of the actual picture, which I know well. I am highly dissatisfied. In fact I would like to return it and get a refund. How do I go about this? This is a really beautiful, well made picture. I looked at quite a few other sites with this classic picture and I found this to be the best value for money.